We R Memory Keepers-DIY Party Board. 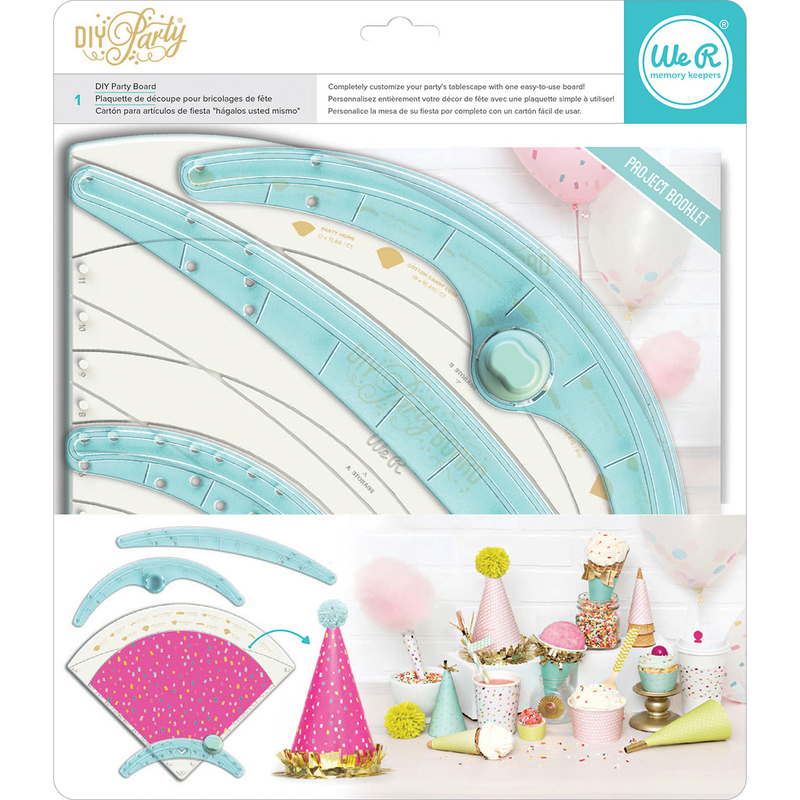 Create over a dozen partyware items with one tool! Cut shapes to make party hats, cupcake wraps and more. This 13x11-1/4x2 inch package contains one DIY party board with cutting guides that snap onto the board for easy storage. Imported.